a. Applicant should possess MBBS degree of any university recognized by the Medical Council of India in the allopathic system of medicine. b. Applicant having post graduate degree in General Medicine can also apply. c. Applicant should have a minimum 2 (two) years post qualification experience practicing allopathic system of medicine in any hospital or clinic as Medical Practitioner. d. Applicant should have his/her dispensary or place of residence within a radius of 40 km from the Bank’s dispensaries. Selection will be made through an interview and decision of RBI in this regard will be final. RBI will not entertain any correspondence with the applicant/s not called for interview. 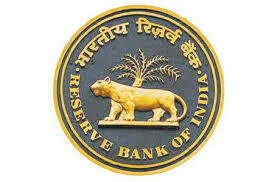 The Bank reserves the right to raise the minimum eligibility criteria etc. in order to limit the number of candidates to be called for interview. b. Applicants shortlisted after the interview will be subjected to medical examination as per prescribed norms and other document verification process before being empaneled as MC on contract basis.